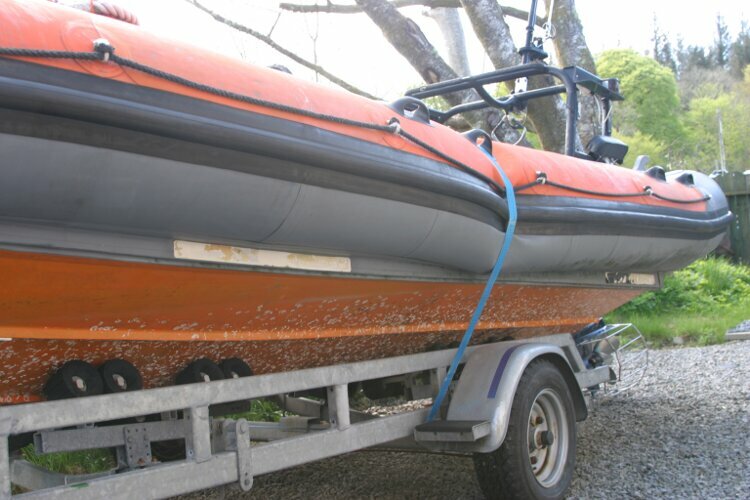 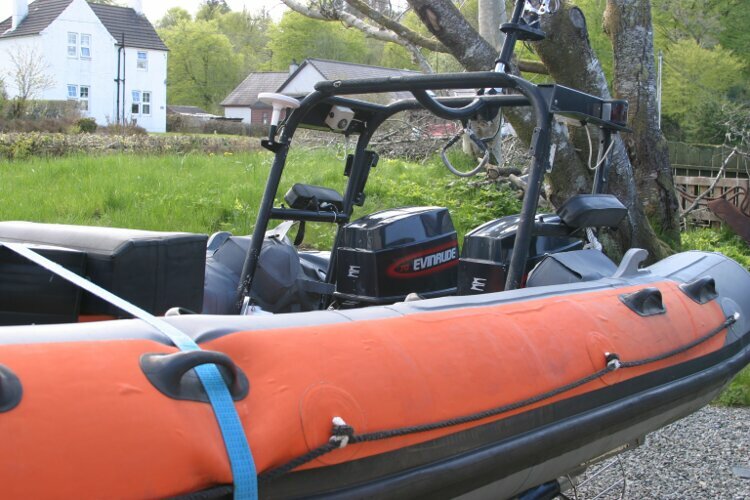 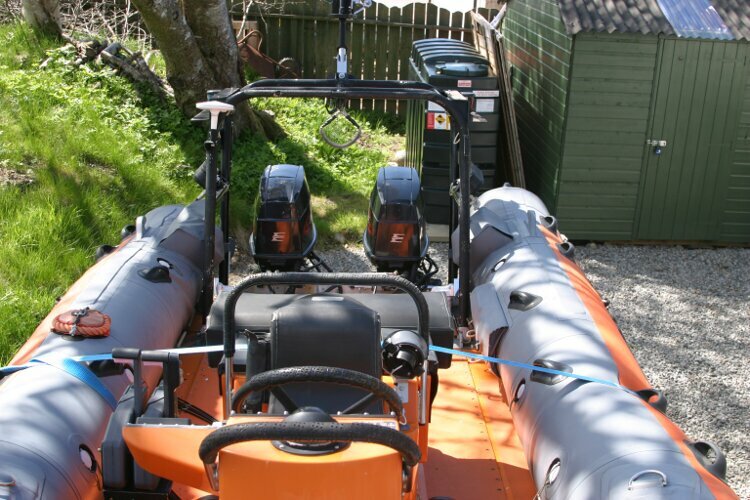 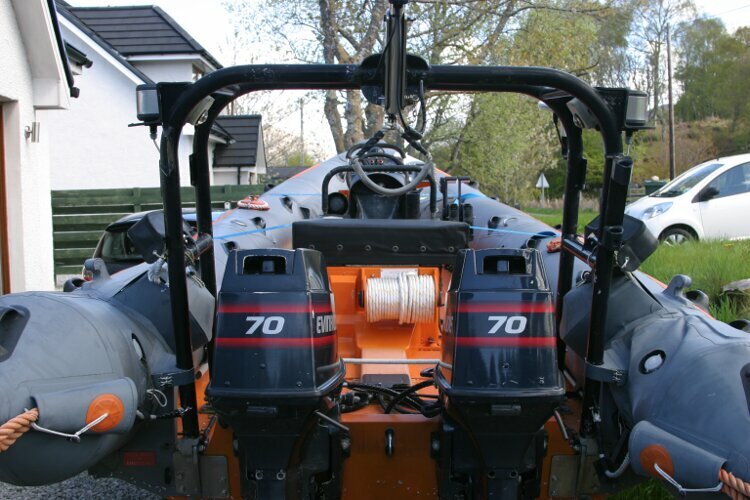 A rare opportunity to own an ex-RNLI Atlantic 21 RIB with twin Evinrude 70's in excellent condition on nearly new road trailer. 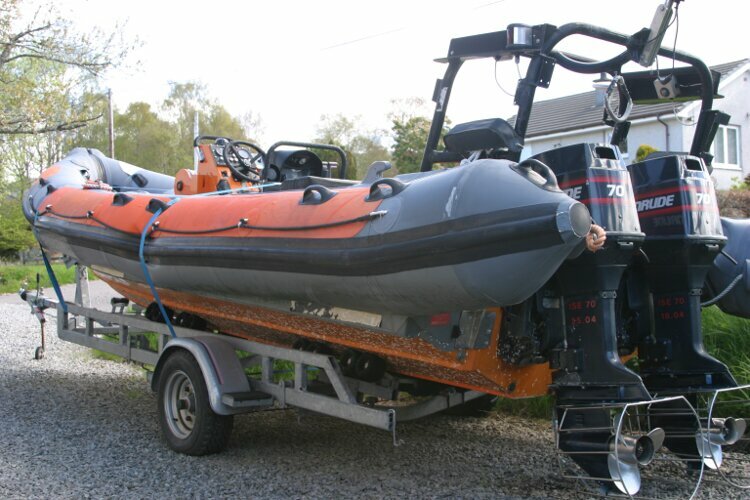 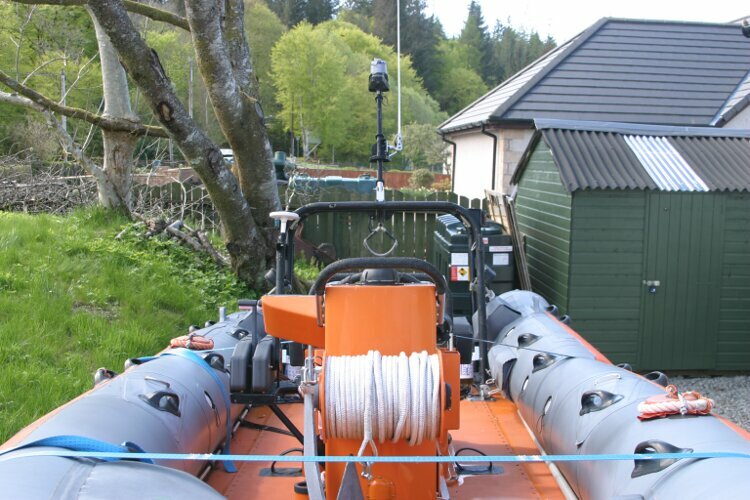 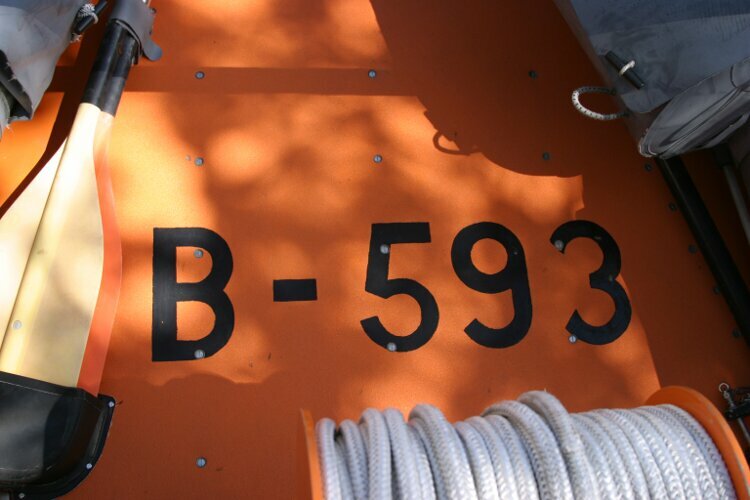 She is the Valerie Hull, RNLI number B-593 and served at the Kilkeel Lifeboat station, County Down, Northern Ireland from 1993 until 2006 when she returned to the Inshore Lifeboat Centre at Cowes before joining the Oban Sea Cadets as a training vessel where she is now for sale. 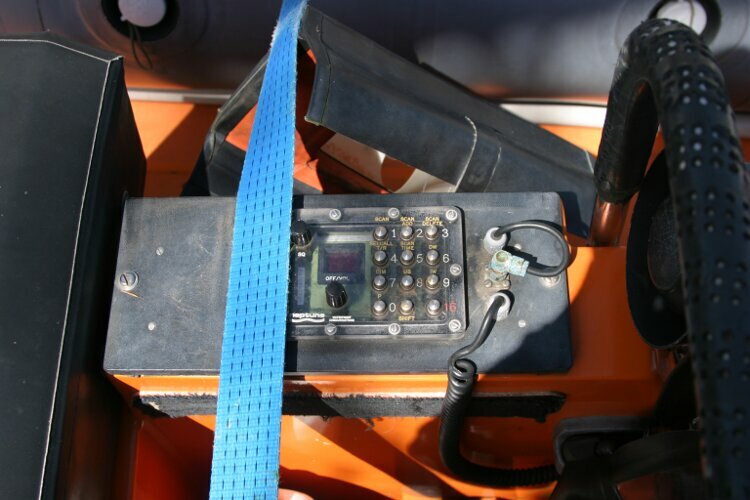 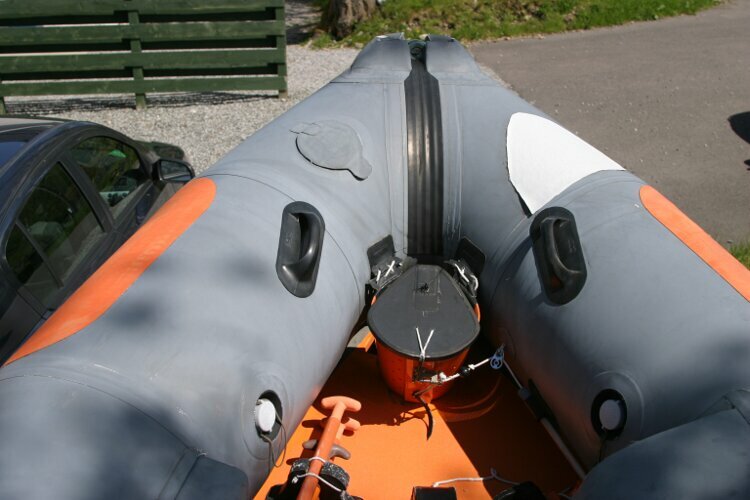 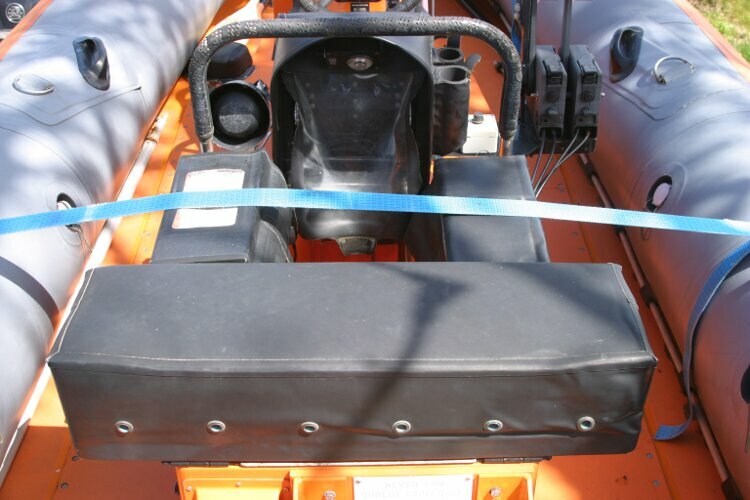 The self righting bag, first aid kits and chart plotter were retained by the RNLI but otherwise she still has most of the original equipment. 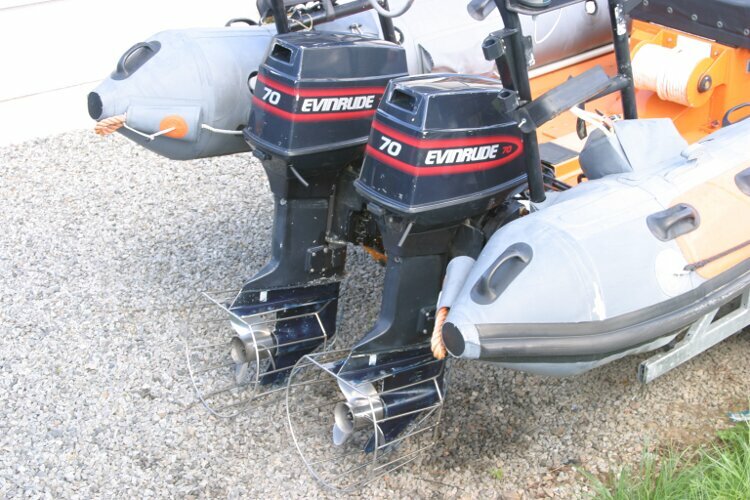 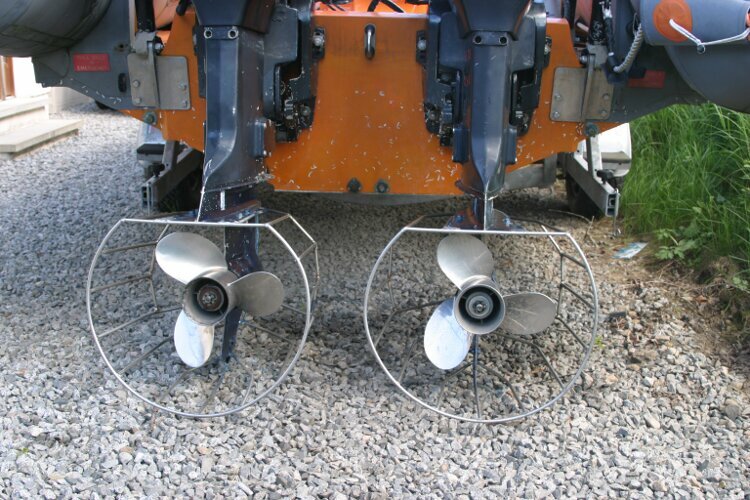 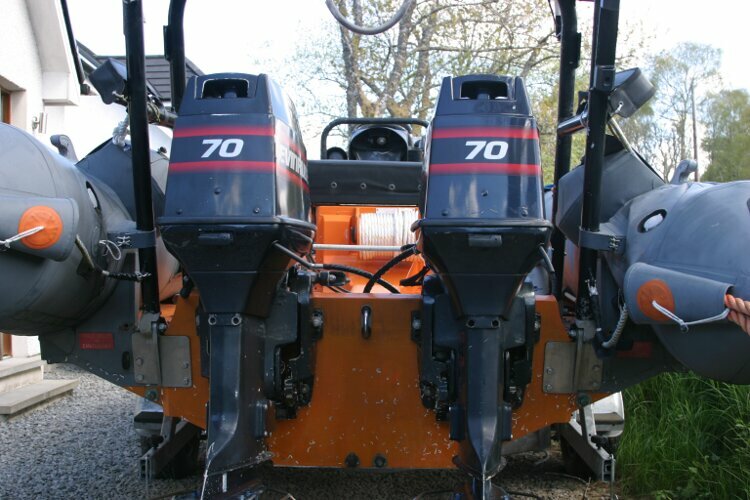 The powerful Evinrude 70 engines are fitted with stainless prop guards and have power tilt and trim. 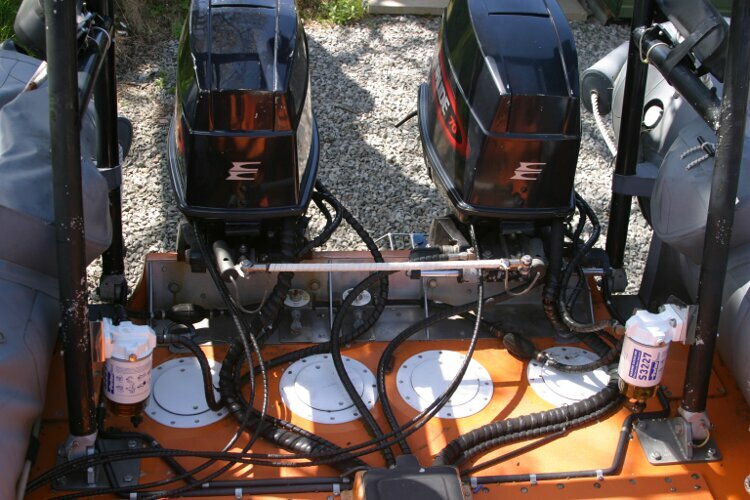 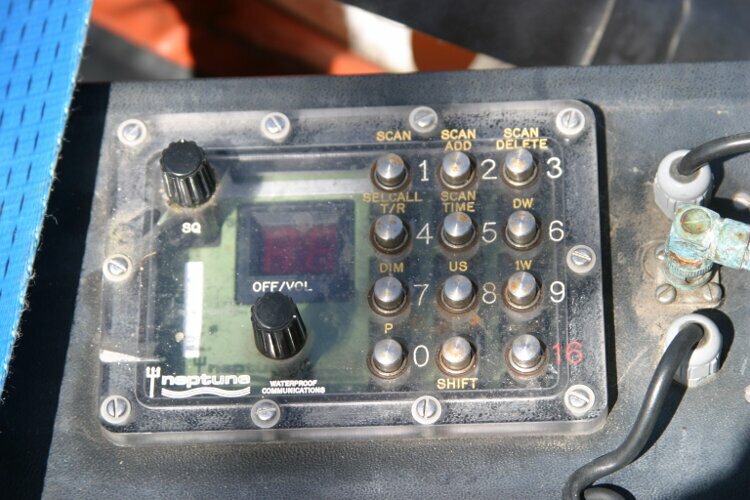 The dual fuel tanks have additional fuel filtering installed. 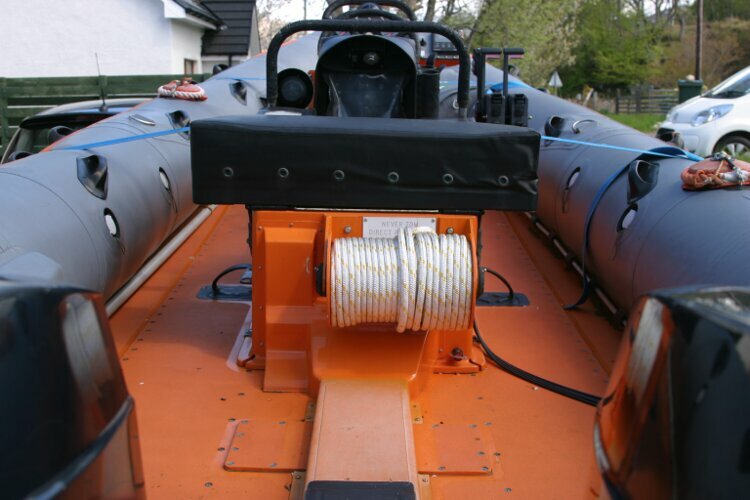 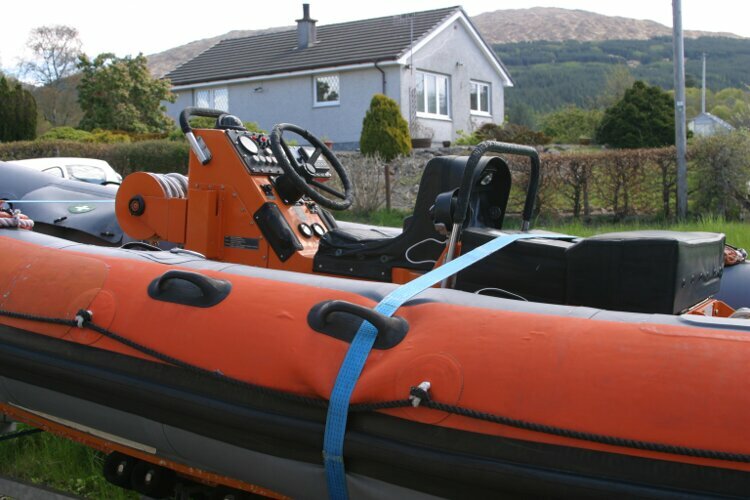 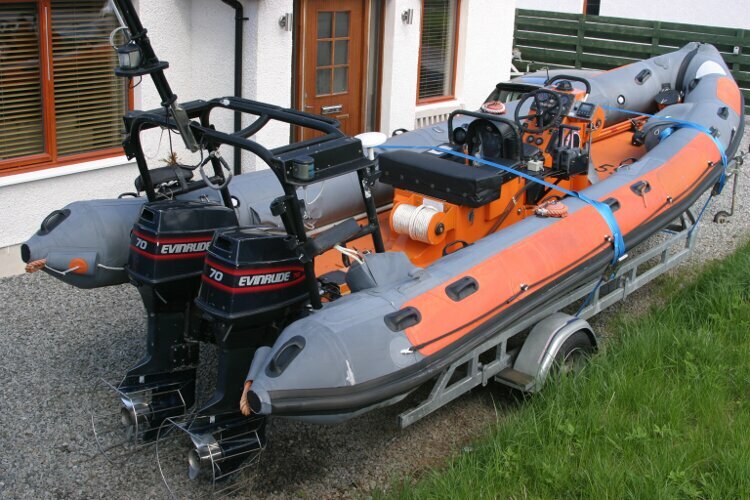 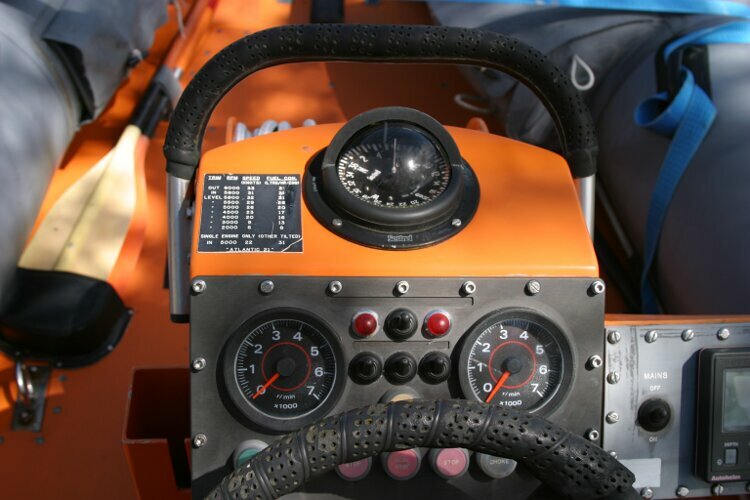 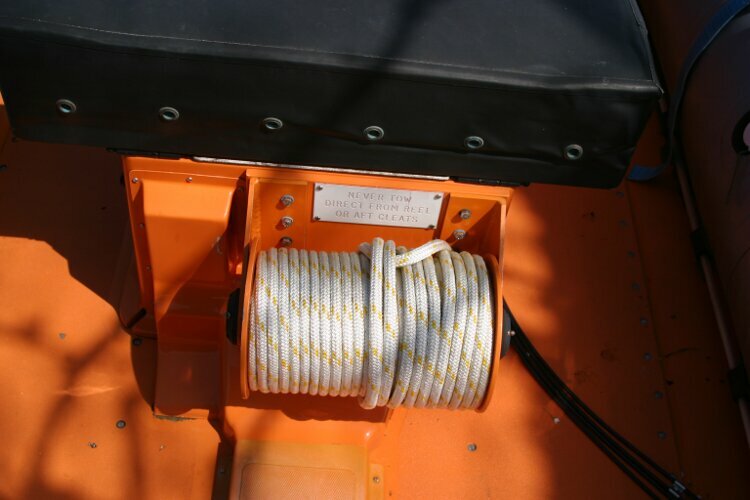 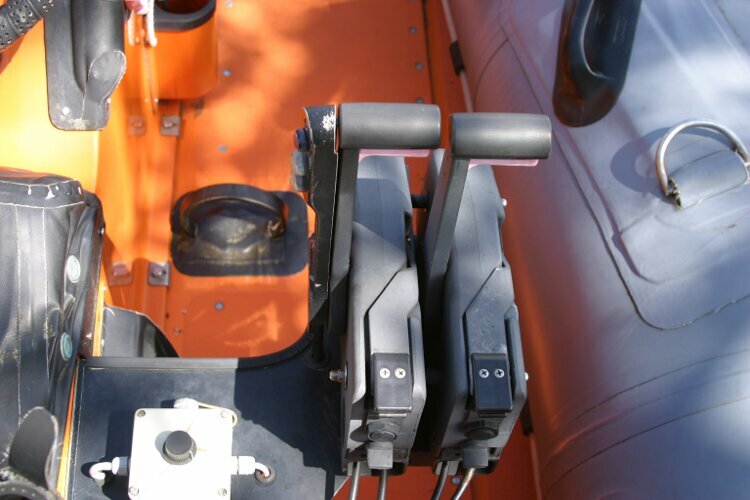 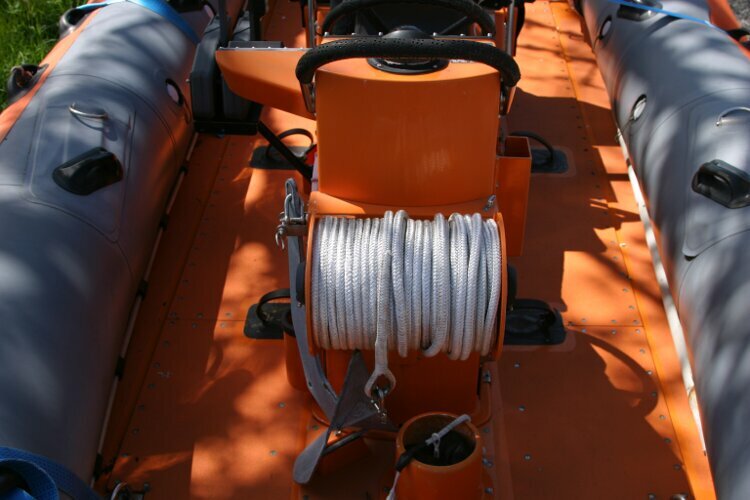 Designed as a high speed rescue boat with a top speed of 33 knots, she would also make a good boat for divers. 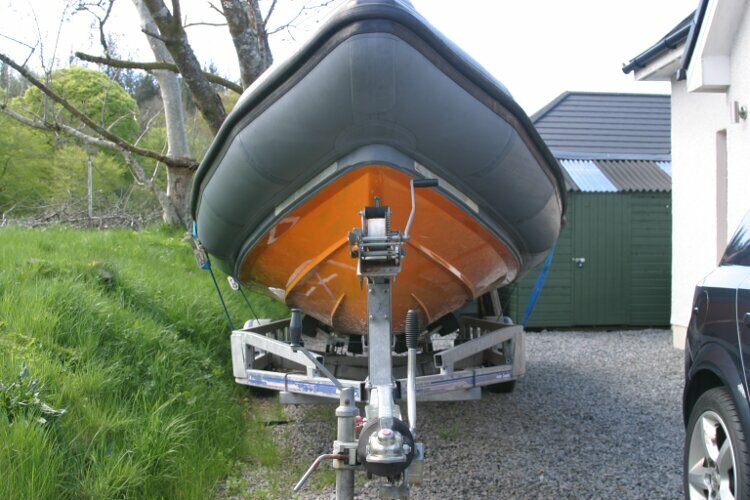 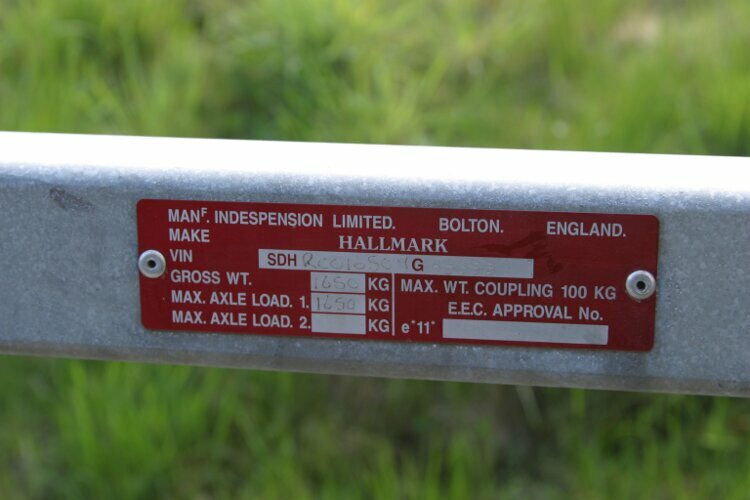 A bargain price for such a quality boat. 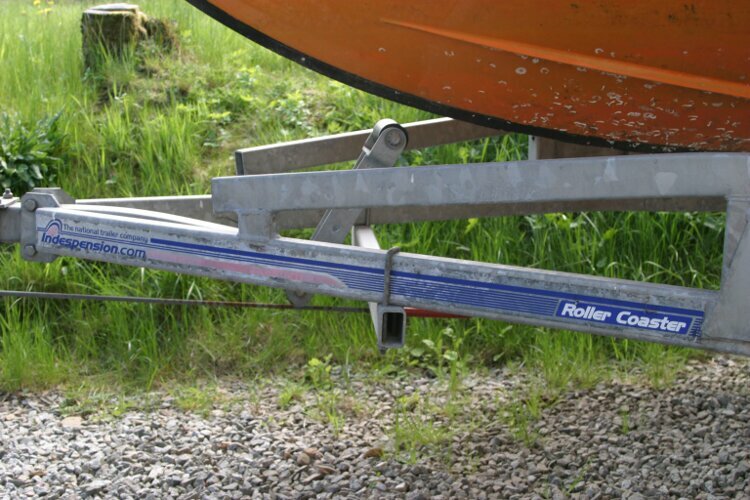 The custom build break-back trailer was new in 2010. 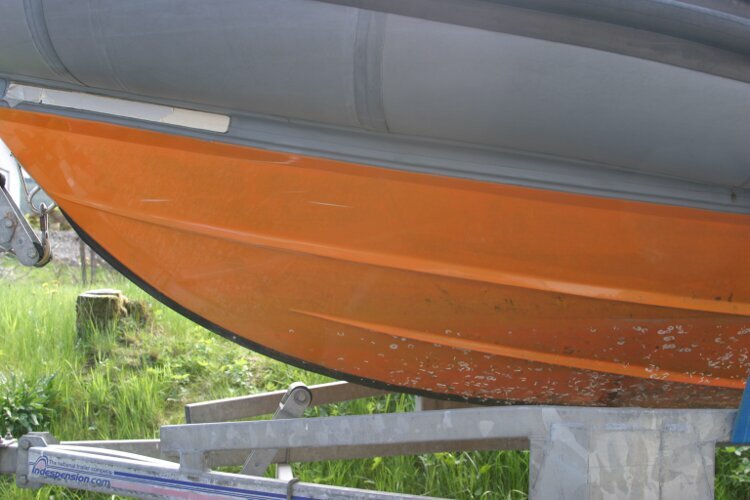 This boat is no longer for sale and remains here solely as an information resource for those researching R.N.L.I. 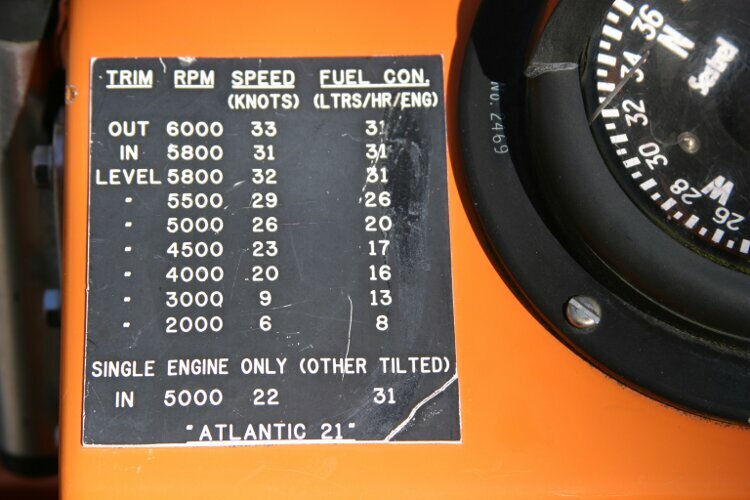 Atlantic 21's.